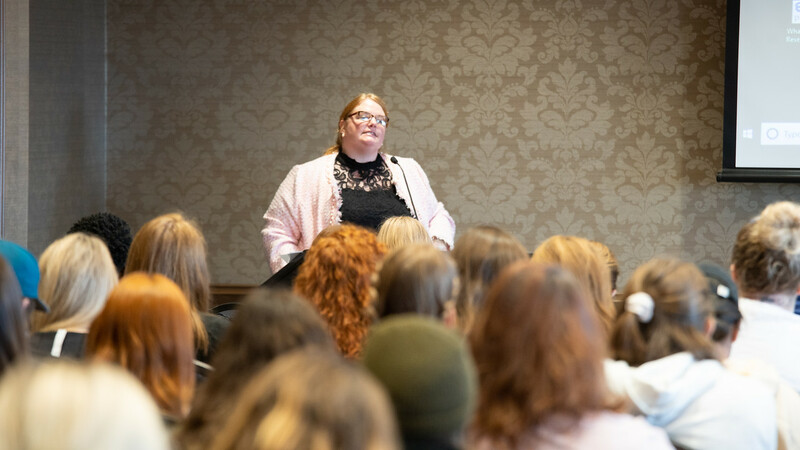 On Monday, Belmont hosted a convocation event featuring University of St. Andrews senior lecturer Dr. Caron Gentry as the Women’s History Month keynote speaker. Author of “This American Moment: A Feminist Christian Realist Intervention” and various articles on gender, terrorism and feminist political theology, Gentry has formed ideas to problems of police brutality, women’s reproductive health and the rise in fascist politics. She also serves as an associate editor for the International Feminist Journal of Politics. She said when people are anxious, they tend to cling to people like themselves and hold others at a distance, placing negativity on them. She added that creativity is how we build relationships with others and how we may respond to anxiety that causes us to distance ourselves from people who are different from us. She provided students with simple, concrete ways to work against the power dynamics that limit feminism and equality, including showing up instead of thinking “that’s their issue.” Gentry advocated for students to listen and educate themselves more on issues that are important and create more abstract conversations to prevent guilt or polarization. Gentry was introduced by Dr. Mimi Barnard, associate provost of Interdisciplinary Studies and Global Education.